Truly understanding China is definitely not easy. History, culture, language, business can be quite far away from what is usually perceived as “normal” in the West. Yet, experience shows that successful business is rarely built in China without strong support from the home operation. In most cases, it is essential for headquarter managers to acquire their own conviction and understanding of China’s value and potential. 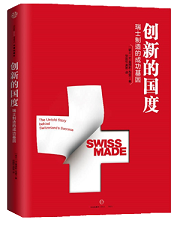 Therefore, SCS organizes regular delegation visits to China for Swiss entrepreneurs aiming at increasing their understanding of China’s business environment. To facilitate this understanding of China at senior management level, SCS organizes tailor-made visits, geared towards the specific areas of interest of the visiting group. Shanghai Museum and/or other cultural sites, entertainment, etc.